A medieval parish church dating from the 13th to the 15th centuries with extensive 19th century alterations. 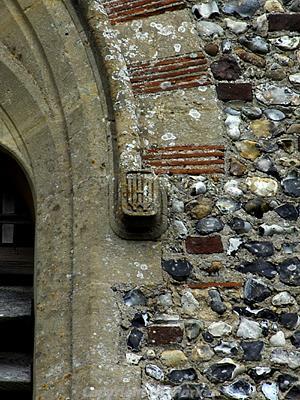 The base of the tower and parts of the west wall may date to the Late Saxon or Norman period. The church contains some excellent examples of 15th century stained glass and a number of interesting memorials, including one to Charlotte Atkins who died in Paris after several attempts to rescue Marie Antoinette from prison. The mausoleum in the churchyard was built in 1854 for Sir John Boileau. Interior of church; 13th century trefoil headed piscina with shafts having deeply undercut capitals. Reredos of late 16th century Flemish painting on wood panel of Marriage Feast at Cana. East window with early 15th century glass to tracery panels, fragments of 15th century figure and heraldic glass to lights with some Flemish rondels. The octagonal font dates to the early 15th century and is decorated with evangelistic symbols. The many monuments include 15th and 16th century brasses of Sir Thomas Heveningham and his wife, a marble memorial with a column with a willow branch and the figure of a weeping lady to Edward Atkins, 1794, by R. Westmacott in 1807. Perhaps the most interesting memorial is that to Charlotte Atkins, who died in poverty in Paris in 1836 after several attempts to rescue Marie Antoinette from prison. The Mausoleum was built in 1854 for Sir John Peter Boileau of Ketteringham Hall. Gault brick laid in Flemish bond and with ashlar dressings and quoins; roof of 4 stone slabs. Square on plan. Gabled west front with stone Doric doorcase consisting of side pilasters with capitals supporting an architrave with the Boileau arms on the keyblock. See (S1) and (S2) for more details. S. Spooner (NLA) 12 April 2006. Base of tower and west wall Saxo-Norman, with evidence of porticus chapels in side walls. 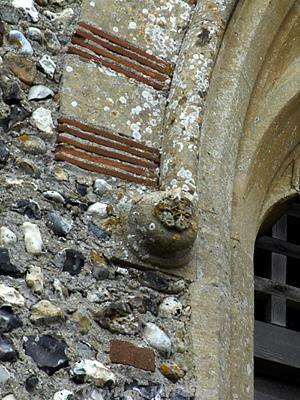 Possibly a separate phase of Norman work shown by the high windows. Chancel 13th century. Major reconstruction in 15th century. Top of tower collapsed in 1608 and was rebuilt. Further restoration work in 17th, and unusually in 18th, centuries. Major restorations in 1837 from which a complete set of woodwork remains, 1845, and 1870 when tower was again reconstructed. Major overhaul in 1908. Very important collection of monumental brasses and sculptured memorials dating from 15th to 19th centuries. Remnants of important scheme of stained glass. Ornate 15th century font. Church is notable for its unusual alignment. Churchyard includes the Boileau mausoleum of 1854. E. Rose (NLA), 8 August 2006. January-October 1991. Stray find during building work. .
--- Aerial Photograph: TG1602 C-F.
--- Serial: Blomefield, F.. 1806. An Essay Towards a Topographical History of the County of Norfolk.. Vol V.
--- Unpublished Document: Rose, E.. 1978. Building Report..
--- Unpublished Document: Wearing, Hastings & Norton. 1982. 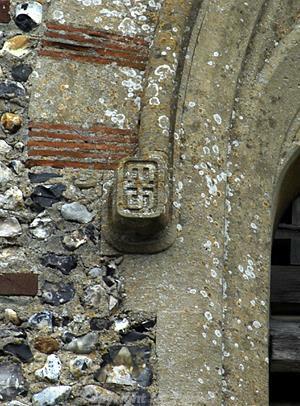 St Peter's Church, Ketteringham: Specification. --- Unpublished Document: 2006. Boileau Mausoleum, Ketteringham St Peter, Deanery of Humbleyard; Summary. --- Photograph: Parker, M.. 2006. 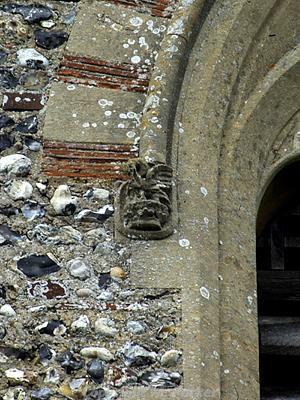 Photographs of caryatids and headstops on Ketteringham Church. Digital. <S3> Newspaper Article: Eastern Daily Press. 1987. Tiny parish rush to help church. 2 October. <S4> Newspaper Article: Norwich Mercury. 1984. Revealing a Real Gem. 10 February. <S5> Newspaper Article: Eastern Daily Press. 2000. Spotlight on Sculpture. 8 December. <S6> Unpublished Document: Rose, E.. 2006. Building Report..
<S7> Article in Serial: Gurney, D. (ed.). 2007. Excavations and Surveys in Norfolk in 2006. 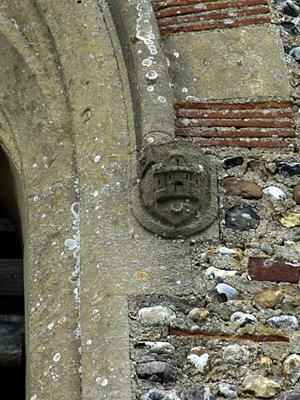 Norfolk Archaeology. Vol XLV Pt II pp 261-273. p 265.